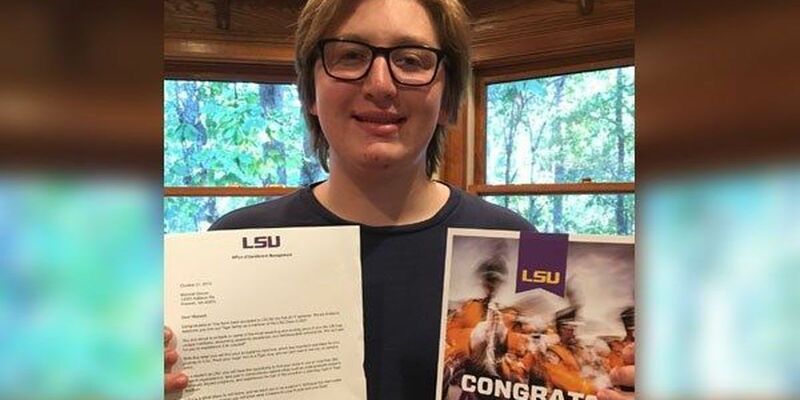 BATON ROUGE, LA (WAFB) - A grand jury has reviewed the cases against ten people who are facing criminal charges in connection to the death of an LSU student during an alleged hazing incident. One of the ten people charged has been indicted with negligent homicide. Three others were indicted with hazing. Matthew Alexander Naquin has been indicted with negligent homicide while Patrick Forde, Sean Paul Gott, and Ryan Isto have all been indicted with hazing. Grand jury proceedings are not open to the public. RELATED STORIES: What is a grand jury and how does it work? Our thoughts continue to be with the Gruver family during this difficult time. As I've said previously, the ramifications of hazing are devastating. Today's decision by the grand jury furthers the fact that behaviors that threaten the safety of our students will not be tolerated. Hazing is dangerous and unacceptable. We are taking necessary steps to change the culture on campus related to hazing and are currently in the implementation phase of our Task Force on Greek Life's recommendations. With today's decision, the judicial system will now proceed with its process. In the meantime, the university has completed its internal student code of conduct investigation and outcomes have started to be issued. Maxwell Gruver, of Roswell, Georgia, died after an alleged hazing incident at the Phi Delta Theta fraternity sometime on Wednesday, September 13, 2017. The East Baton Rouge Parish Coroner confirmed Gruver's blood alcohol content (BAC) was.495 at the time of his death, which is more than six times the legal limit. The level is extremely high. For example, if Louisiana State Police arrest someone for DWI and their blood alcohol level is above .30, that person must be immediately transported to a hospital. Eight of the ten are currently enrolled as students at LSU. Gott and Forde are not currently enrolled. If convicted, hazing carries 10 to 30 days in jail and a mandatory expulsion from the university. LSU may opt to expel students on its own as well before the trial process begins. Negligent homicide is a felony crime that carries a maximum sentence of five years. Naquin's bond amount was set at $10,000.